Iron Edda Accelerated is a game of brave warriors fighting to keep their homes, lives, and freedom. It is a game of magic and intrigue. 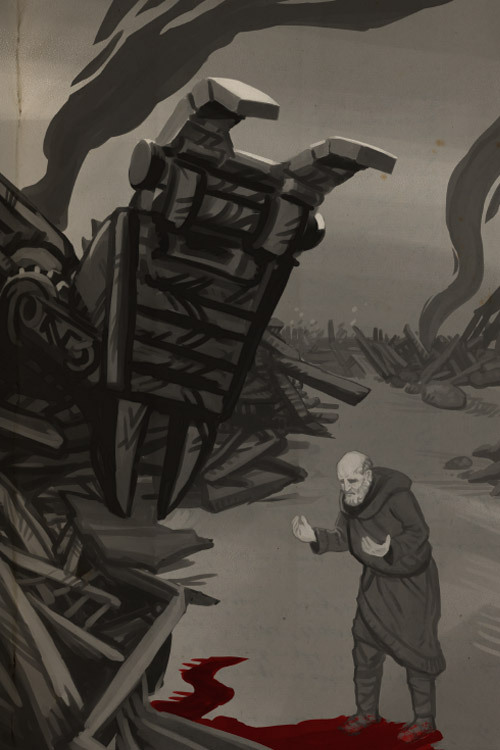 It is the story of ordinary people who fight alongside the towering skeletons of long-dead giants. It is the story of those who embrace an unknown afterlife to bond themselves to those giant bones. It is the story of those who cling to tradition and to the power that their roles in society gives them, even though all crumbles around them. It is the story of a world irrevocably changed. 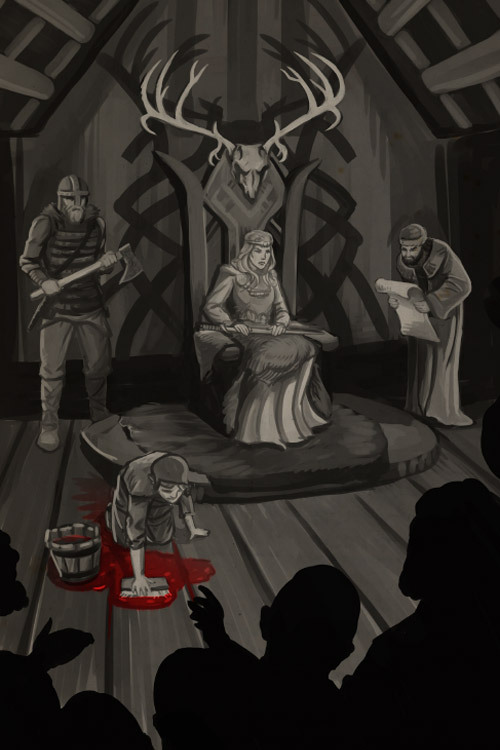 It is the story of Ragnarok, Fimbulwinter, the end of time itself. If there is to be a future at all, it will be because of you and what you do. Ultimately, this world is your world. Fate is designed for the players to have an impact on the world around them. 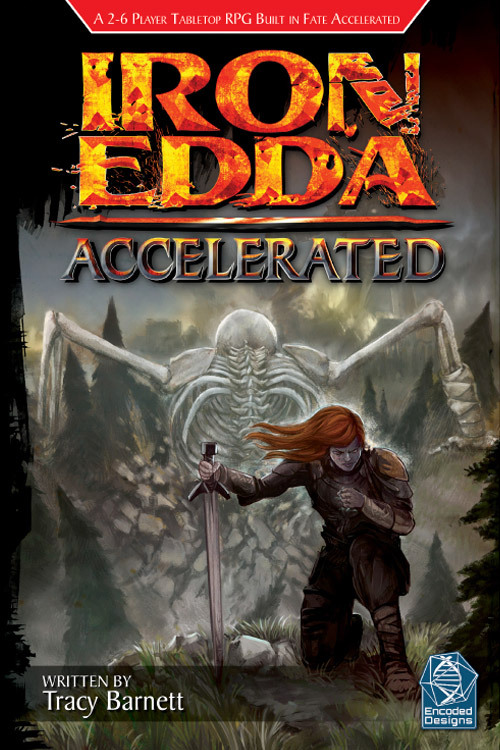 Iron Edda Accelerated is no different. You and the people around you will shape the future, for your holdfast and the world at large. Warrior, thrall, seer, Jarl... All have the chance to feat in Valhalla. All could dine with the fallen in Hel. 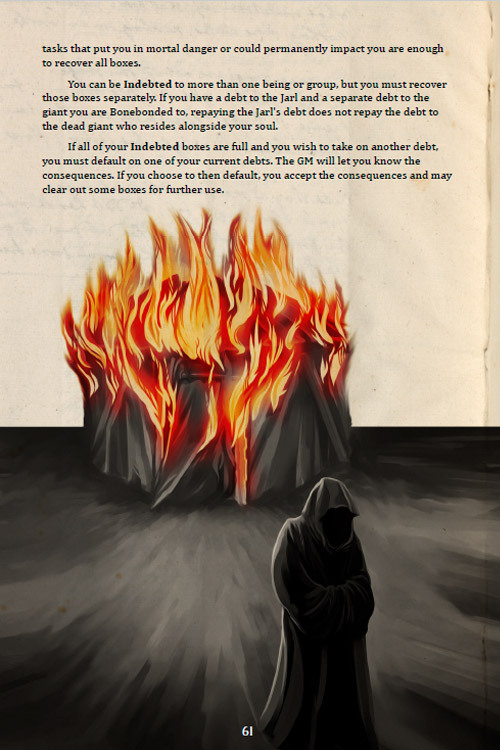 Your fate is yours to decide. 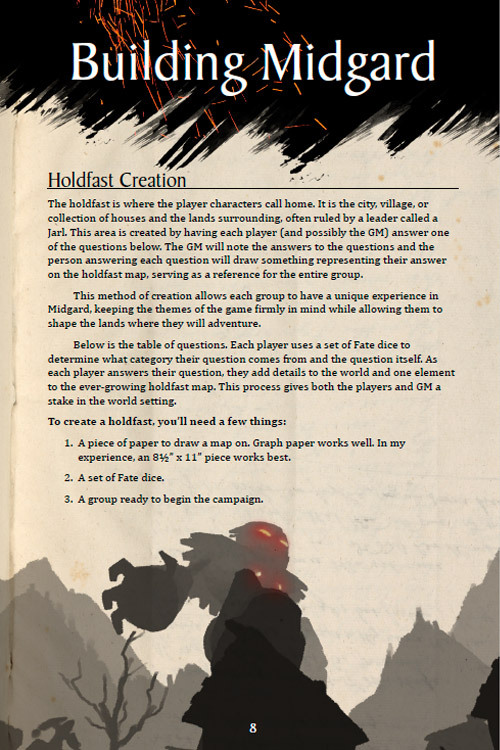 Iron Edda Accelerated is a Fate Accelerated RPG designed to be played by 2-6 players. This title was added to our catalog on March 05, 2019.